African Roll Band mixing Rock, Blues, Gnawa and Traditonal Moroccan Music & Flamenco. Booleecy Contact: +34 644257027, eko@eko.cat. 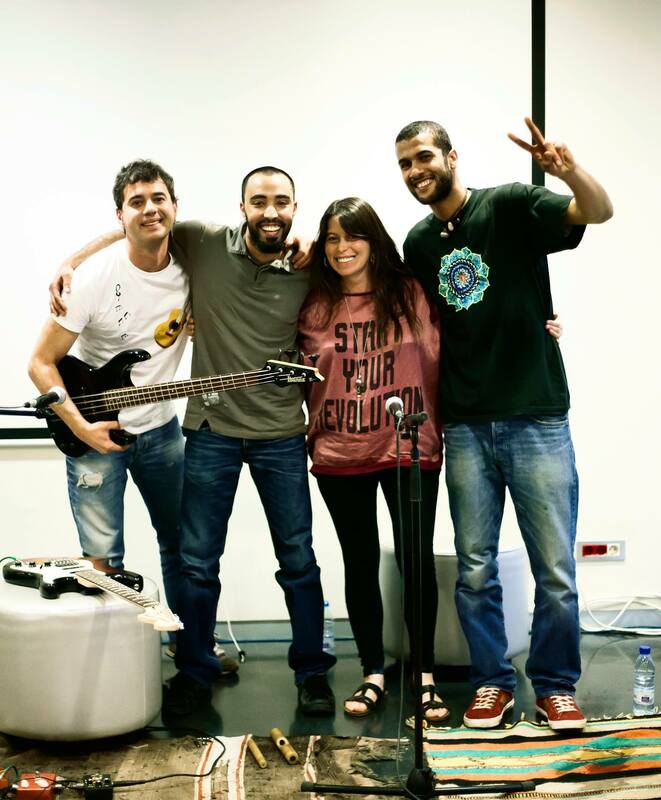 Booleecy is formed by Walid Mahmoud (guitar, vocal), Albert López (bass), Amine Lahmar (percussion, vocal) and Sonya Galván (vocal). Booleecy began in 2010 from Barcelona when Amine, Walid and Alberto meet, and decided to form a group, united by their love of music. Each one from differents origins, brings different rhythms that accompanied them during their life. In 2013 two new faces, Alex’s trumpet, and the flamenco voice of Sonya, are added to give new tunes. Its purpose is to convey in the scene, the passion and eager they put in the development of their songs, not to cause barriers, but motivation, enthusiasm and expression. They recorded their first album in 2013, being a group with lots of color and fusion for the different influences that reflect their music, their performances will not leave the audience indifferent.